1.Please pay attention to the operating current of your sensor or module, the maximum output current from Module side is 150mA. 2.All pins on the Module side (isolation side) are isolated from all pins on the Controller side (non-isolation side). Do not short-circuit them. 3.It is normal for the isolator generates heat while working. As shown in the figure below, this digital signal isolator has two connectors, one is on the left and another is on the right. The left connector named Module should be connected to the sensor or module.The right connector named Controller should be connected to the I2C bus of the main control board. 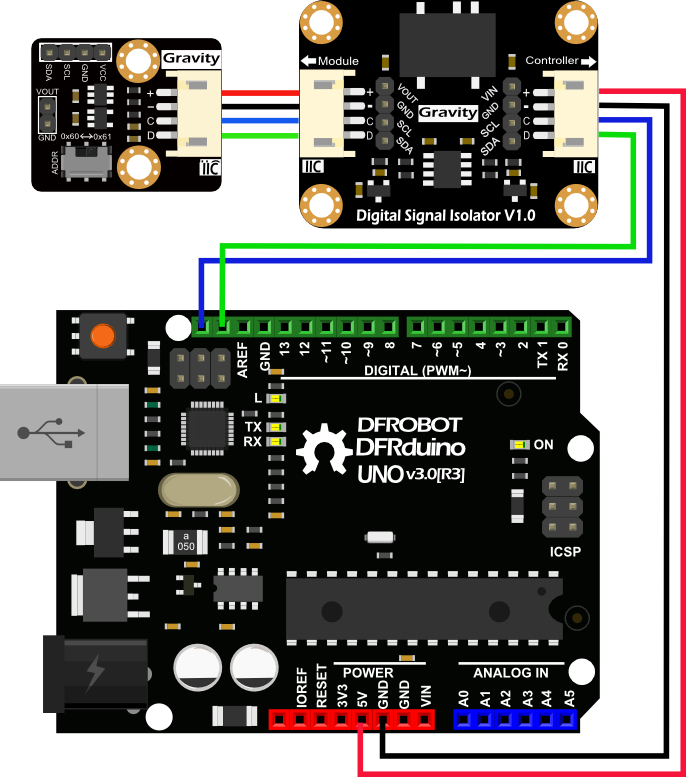 This tutorial will use a I2C DAC module as an example to demonstrate how to connect this digital signal isolator in the circuit,to electrically isolate the sensor or module. As shown in the picture below, connect the I2C sensor or module to the Module Side of the isolation module (use a dual-head PH2.0 cable, this cable is included with the product). Then connect the Controller Side of the isolation module to the I2C bus of the Arduino board. After the steps above, the electrical isolation of the DAC module has been completed. The code of the sensor or module in the main control board is the original code, so you do not need to be modified. 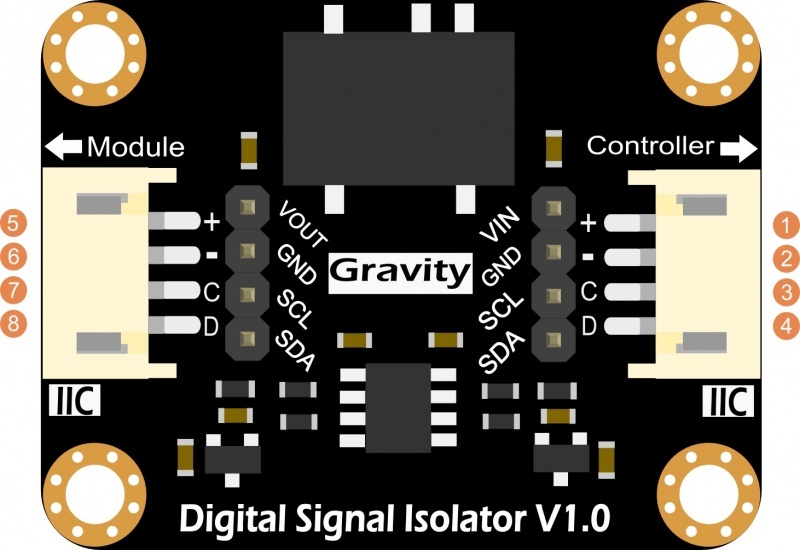 Get Gravity: Digital Signal Isolator from DFRobot Store or DFRobot Distributor.